What impact can AI make in a developing country like Nepal? Computers are doing wonders since their invention. Every field of work needs a computer in their day-to-day work today. Transportation, offices, industries, research, education and the list goes on where a computer has an enormous and positive impact. AI or artificial intelligence is one of the emerging topics today. Artificial intelligence has revolutionized the way things work. Have you ever wondered how some online shopping websites know your preferences to list relevant items for you? Or how any email service providers know which email is spam for you? It is because they use machine learning (a subset of Artificial Intelligence) to filter large data and come up with the most relevant results without you knowing about it. Artificial intelligence is the ability of a computer or machine to think and learn the way we call intelligence. It is the simulations of human activity by machines or computer. Artificial intelligence enables the system or program in learning, reasoning, and self-correction as required. AI is the work done by machines or computers as human do. They can understand and adapt to the environment and most importantly decide the right course of action. AI can automate all the actions in a way any human would have done. Nepal like other countries is affected by all the latest innovations in technology. How can a developing country like ours benefit from AI? This is not an easy question to answer. It depends on many factors and mostly on the government’s policy on IT and related field. There are researches that show how economic growth will rise in developed countries with the increased use of AI. Research conducted by The Accenture Institute for High Performance shows that by 2035 A.D the US will have an annual growth rate of 4.6% compared to present 2.6%. Similarly, the UK will have an annual growth rate of 3.9% compared to present 2.9%. These are some example of developed countries. For developing countries, AI has a more significant effect. We can see how technology-driven changes have helped such countries in tackling a number of challenges. Nepal can benefit from this too, especially in Farming, Health Care, Resource provision, transportation, Electricity and so on. How can this be achieved depends on the policy adopted by the Government and the private sectors investing in the field of AI? There are some private companies already operating here in the field of AI, however, no such machines are used significantly until today. What is being done in Nepal? One of those AI companies is Fuse Machines, which was founded in 2011 AD has been operating in different fields to develop AI enabled machines and program. 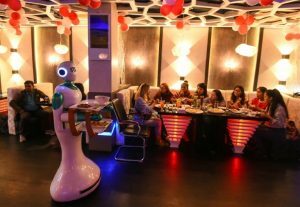 There are some other companies and organizations that are working in AI, like Paailatechnology which is developing robot waiter for the restaurant business. Apart from the waiter robots, they have developed speech recognition software for the Nepali language along with text to speech converter. There is some work done in the field of AI but these are not sufficient to catch-up on what is happening around the world. However, Nepali AI enthusiast can now access the global event named AI Saturdays. AI Saturdays help AI enthusiast and learners come together in a single platform and learn from the AI experts and leaders. AI enthusiast can be part of the AI Saturday event in Kathmandu. Another group of AI enthusiasts is working together with different activities being organized for interested people. They are Artificial Intelligence for Development (AID), a group working as a research and development organization. Their primary focus has been in bringing applied AI solutions in existing problems of the community. Some restaurant chain has already started using the waiter Robot waiter in Kathmandu. The owner has received a positive response so far and it has a positive impact on the business as well. Nepali microfinance companies can use AI to analyze risk and detect fraud as well. This technology is already in practice in Africa. The lending company can analyze the data before doing any transaction with their client. The government can benefit from AI as well, especially in e-governance, quality data and other technical aspects. Machine learning analyzes large scale data which can be beneficial for government and private sectors. They can use this analysis to improve employment opportunities by shortlisting suitable and deserving candidates. Almost two-thirds of the Nepali population rely on agriculture for their living but with very minimal effect on the economy. AI can have an immediate impact on farming with the use of technology. Public service is another sector that can benefit from the use of AI. The automation of most of the work will make the service faster and reliable. Data analysis will help the service provider in shortening the service delivery time. These are some achievable goals in Nepal with the use of AI. However, we need proper planning and implementation of these plans. With proper implementation, it is with no doubt that AI can resolve a lot of complex problems. Nepal can use it in a different area of infrastructure development. During 2015 Earthquake response there was the use of drones. Not only drones but the data collected during that time helped in tracking the mass movement. 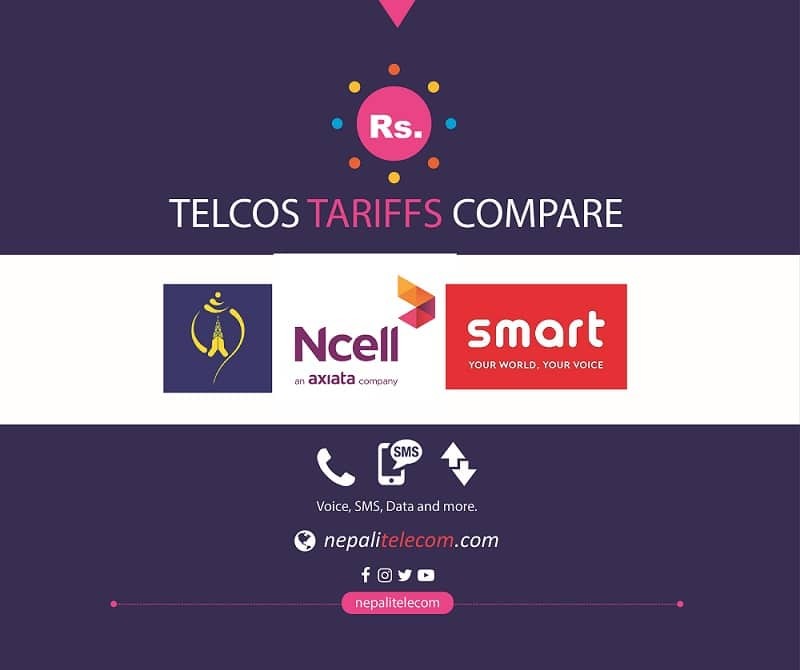 Two major Nepali telecom operators NT and Ncell also helped with the location tracing during that time. All this became possible due to large scale data analysis. Fuse machine and GeoSpatial jointly helped the reconstruction study of Sankhu city during the post-earthquake response. There is a possibility to attract more companies and enthusiast in disaster recovery and reconstruction projects. Whenever I read articles related to AI and think what can be the best field to utilize it in our country, one particular field strikes me time and again. Smart agriculture is possible and farmers can benefit from the use of AI tools. AI helps in predicting the best harvesting time. Farmers can use pesticides on only the affected plants with the use of smart technology. One such example where technology changed the traditional farming approach with higher profit can be the strawberry farms from California. There are other examples of dairy farmers where AI are helping farmers to track if any of their cows are sick. For any farms with more than 500 cow,s it can be troublesome to trace any sick cow. However, now with the use of AIs in their farmers can achieve this by sitting in their office. The milking machine already serves as great assistance for dairy farms. Medicine delivery to the rural area is difficult and this has a severe effect on the health of locals in those areas. There are alternatives to the road but not all places have airports and helipads. Not to mention this can be expensive when it comes to operating cost. Drones are best utilized in such situation with vital medicines being delivered on time and cheaper. Medical field can have other benefits with the use of AI. In a country like ours where we lack the proper infrastructure for education, AI can be helpful for delivering quality education. AI tools like personal learning assistant can be vital for students in rural areas lacking good teaching facility. Developing countries like Nepal must focus on using AI to solve micro problems at the beginning. Gradually the use of AI can go larger. Education sector can start with basic learning capabilities and enhance the delivery later on. It is high time that our policymakers have concrete plans on the use of digital technology for the realization of #DigitalNepal. AI can help boost the economy as well as provide better service delivery. The achievement is guaranteed with changes in small scale but with concrete planning. AI will also be vital in making our lives better in days to come.